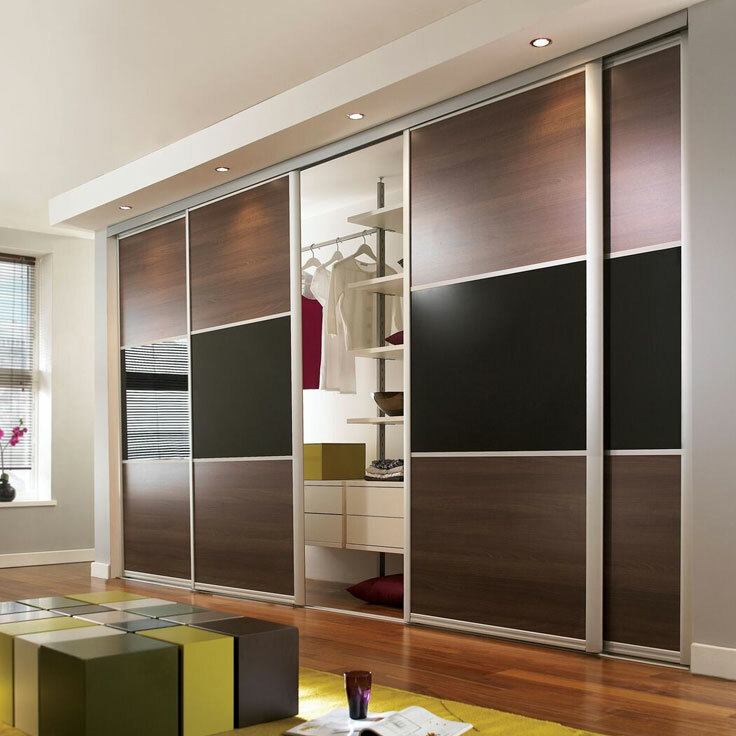 The soft curved profile of the Eclipse wardrobe door is created using high grade anodised aluminium. 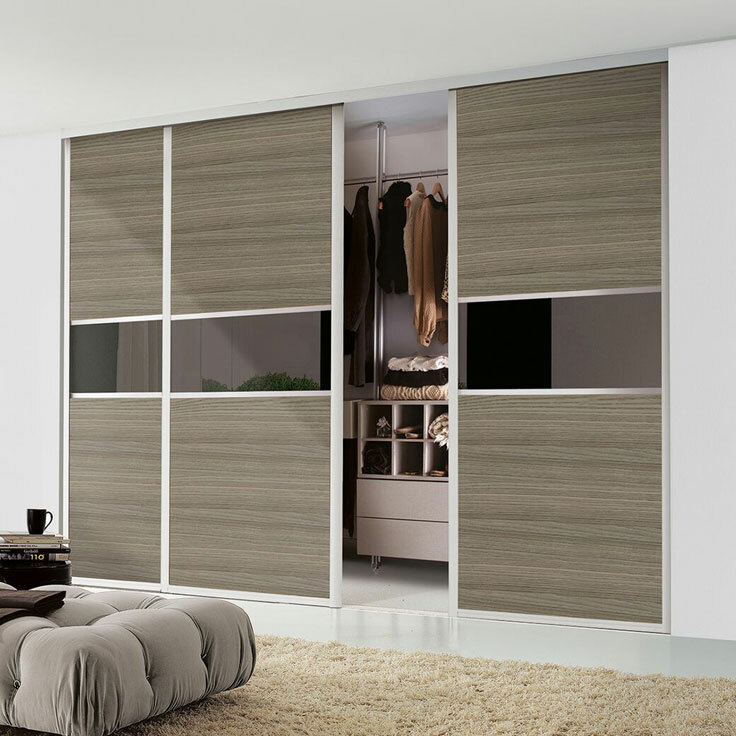 Influenced by either classic or contemporary designs, the choice of wood effect panels combined with the selection of coloured safety glass panels will give a truly unique finish. 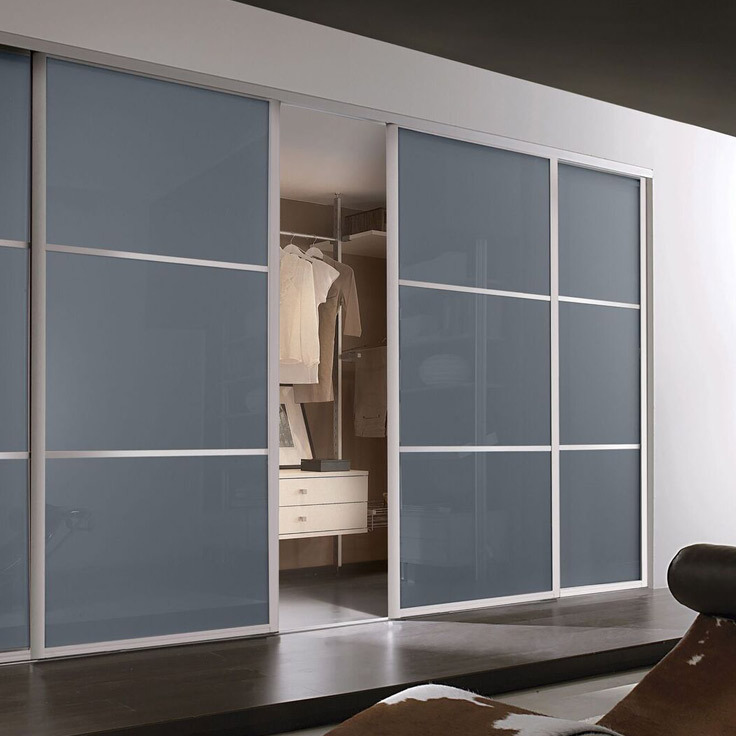 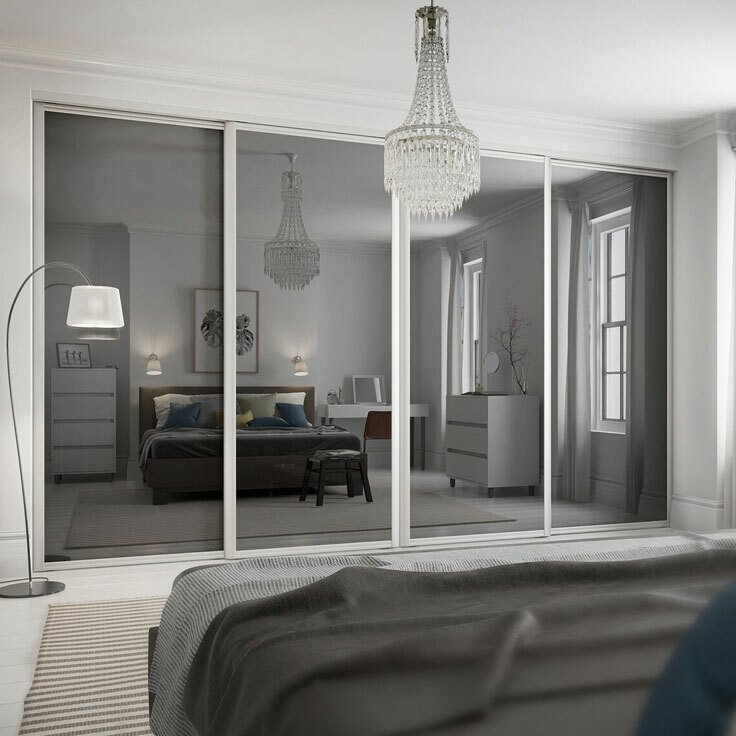 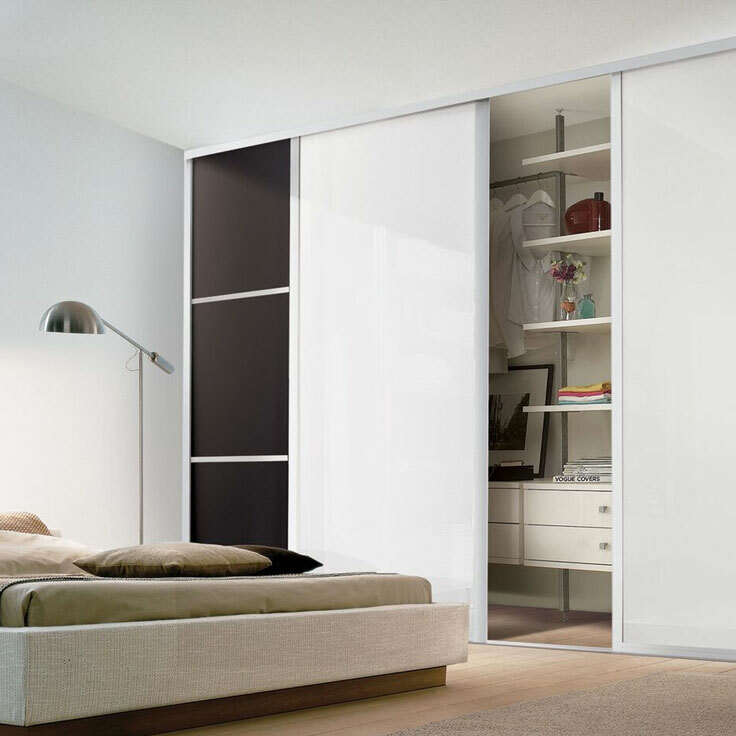 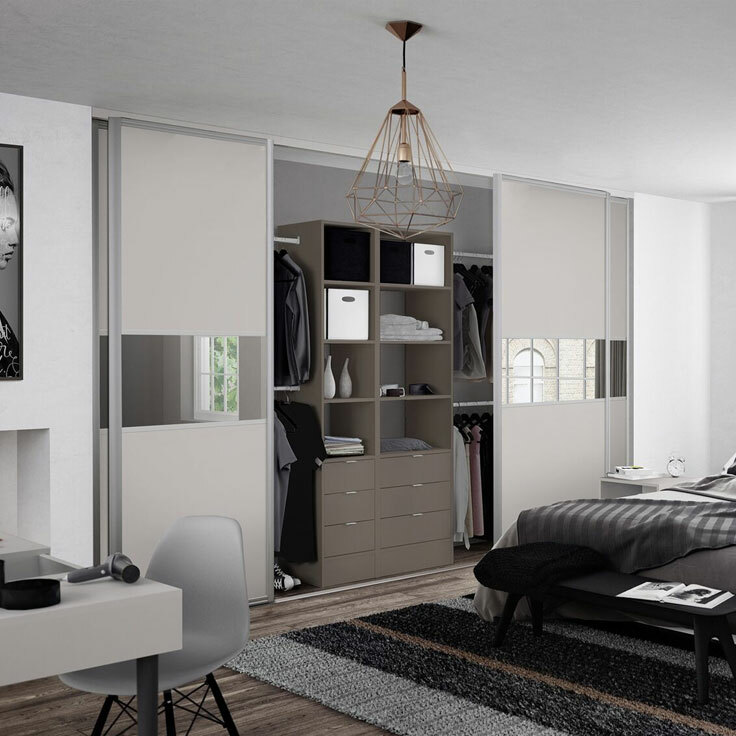 All Eclipse made to measure sliding wardrobe doors offer a huge number of door panel configurations and colour combinations.